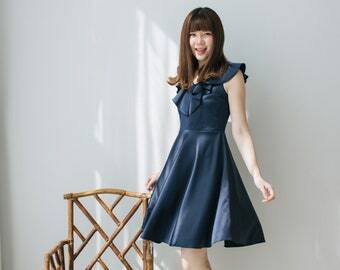 A new romantic elegant dress for special moment of you. This is perfect for special party, prom, graduation, wedding, and many more. Also custom length for this dress is available please convo. 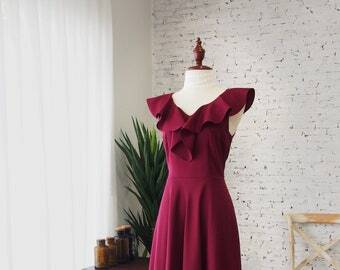 -V neckline with ruffle to back. -Fit and flare shape dress. -Back zipper for looking professional taylor made dress. Great quality, arrived quickly in Canada and looks great :) Thank you so much!